HEYEX 2 is a complete ophthalmic image management solution designed to streamline workflow and enhance data security while providing versatile clinical tools in a comprehensive platform for imaging and data management. The scalable design allows for networking of devices within a single practice as well as across multiple locations to enable concurrent access to data and to simplify data sharing. 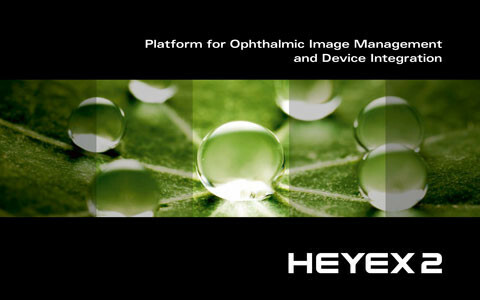 HEYEX 2 is a complete ophthalmic image management solution for SPECTRALIS devices designed to streamline workflow and enhance data security while providing versatile clinical tools in a comprehensive platform for imaging and data management. If you have any questions regarding HEYEX 2, please contact us.